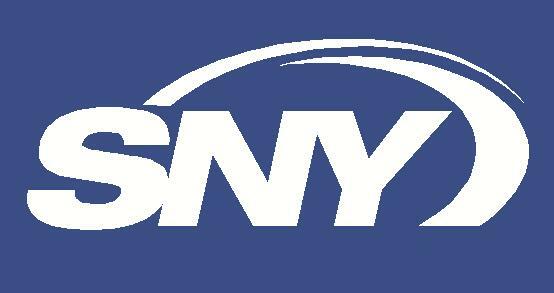 The final 68 games on the New York Yankees schedule will get underway this evening in the Bronx against the Cincinnati Reds. After dragging us along for the first 94 games, can the Yanks keep us interested the rest of the way? There has been little to be cheerful about when it comes to the 2014 Yankees. The rotation is in shambles. The offense as a whole has failed to produce and show any semblance of consistency. The back end of the bullpen, a bright spot overall, has been worked hard because the middle relief options have been underwhelming. There have been performances which have kept fans connected to this .500 club. Masahiro Tanaka was even better than advertised, or at least projected, until he befell the fate of three-fifths the rotation before him. He could be back in about five weeks now, but there is something that tells me that’s a far-fetched notion. 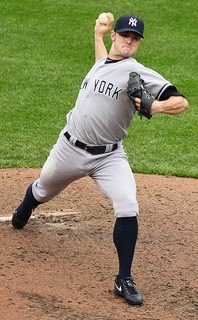 David Robertson has been just fine following up Mariano Rivera’s stellar career with the Yankees. There have been fewer Houdini moments than I expected and Robertson’s K/9 rate (16.3) is exceptional. Robertson’s setup man Dellin Betances has been lights out. He’s second on the team in strikeouts with 84, in just 55.1 innings. 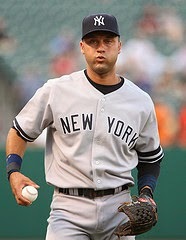 Derek Jeter, while not putting up 2012 numbers has more or less held his own. Surely it’s been easier to watch him walk away performing at a modest level, than it would if he was hitting below the Mendoza line. That was a distinct possibility considering his age and coming off a season in which he played just 17 games. Mark Teixeira has been productive despite not being 100 percent healthy. He’s been the lone source of consistent power this season. After wrist surgery and missing most of 2013, this was a major concern. Finally, Brett Gardner’s extension was the best business decision (outside Tanaka) where it concerns the Yankees and their checkbook. His five-year, $55 million deal seems like a complete bargain when compared to what they committed to Carlos Beltran ($45 million), Brian McCann ($85 million) and Jacoby Ellsbury ($153 million). Ellsbury’s signing can be argued to be a decent deal as of now, except that the length of the contract likely catches up to the Yankees before it concludes. The Yankees start the second half with a 47-47 record, five games back of the AL East leading Baltimore Orioles, and 3.5 games behind the second wild card spot held by Robinson Cano’s Seattle Mariners. They should actually consider themselves fortunate to be in the spot they are, as their Pythagorean record comes in at 43-51. Because this is the Yankees, most everyone feels that they will try to make a couple of moves; certainly another arm for the rotation (they just swapped Vidal Nuno for Brandon McCarthy) and potentially add a bat. That coupled with the fact that there are some players keeping them afloat, provides some fans with hope. The consensus among remaining fans is that the season is already lost. Without their best hurlers, and an anemic offense the chances of the Yankees reaching the playoffs is negligible in their view. Honestly, who could argue that sentiment? The Yankees have been hard to watch at times; frustrating to say the least. Still, there are others, myself included, who feel that something has to give. Allow me to put on my devil’s advocate hat on before I continue. Maybe the Yankees get Michael Pineda back and he’s strong for part of August and September? Perhaps they catch a break with Tanaka’s injury and he is available in September? We’ll know Friday if CC Sabathia will pitch again this season. What if he’s available down the stretch too? It's possible Shane Greene is the answer and David Phelps begins to flourish? If Yankees general manager Brian Cashman can swing a move for at least a second-tier starter, and one or two of the aforementioned scenarios comes to fruition wouldn’t this be a better team? On paper, I think you'd have to concur. But the offense HAS to do its part and perform as expected when the season began. Beltran, McCann, whoever they play consistently at second and third base must step it up. The offense becomes even more important to the equation if the rotation is not upgraded and/or remains broken. If each of these what-ifs occurred would it get dissenting fans to buy in? I assume yes. But the reality is that maybe none of it happens this season. It is entirely possible that the New York Yankees could miss the playoffs for the second straight season. Another $200 million-plus goes down the drain. The Yankees can’t, as their current business model is built, allow this to happen. While it will be a story to watch Jeter finish his career, wouldn’t it be better if his last game was in October and not in Fenway Park in September? I’m sure the Yanks think so and that’s why Cashman will be on the phone trying to plug in holes. The win now mindset cannot be pushed to the side -- they stand just three games back on the loss-side for the final wild card spot. That’s a series’ worth of games. For those who think that if they get to the playoffs it will be short-lived, I hear you. But, truth be told, if the Yankees reach the postseason after enduring what they have since April 1, then shouldn’t we embrace them? Who cares if it is because the rest of the league is also mediocre? Doesn’t that in turn amplify their chances of advancing? The Yankees have just about 42 percent of the season left to play. It’s plenty of time to improve and make changes. It is more than enough time to become optimistic. I am. What do you think? Agree? Am I crazy to even bring up reaching the postseason? Let me know in the comments. 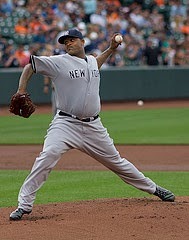 Post updated: Friday, July 18, 2014, 5:25 pm -- CC Sabathia will undergo season-ending surgery to clean out his right knee.